Raksha Bandhan 2017: Ranveer Singh And Didi In 'Best Pic On Internet Today.' Seen Yet? 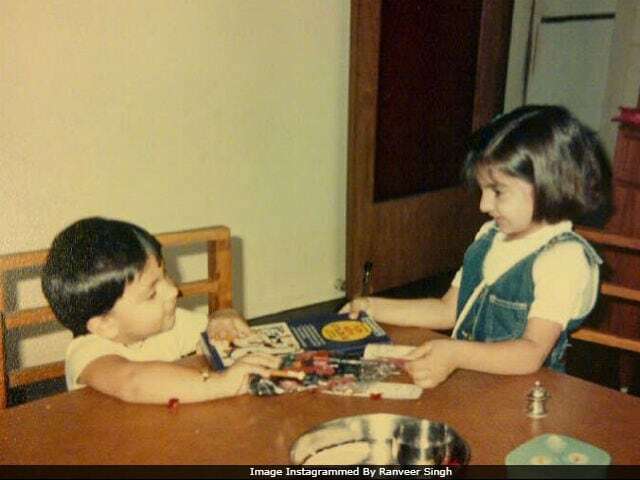 Ranveer Singh is the latest celebrity to post an adorable throwback picture with his sister on the occasion of Raksha Bandhan, which was celebrated on Monday. Ranveer, 32, shared an old picture with his sister Ritika. The duo seem to be exchanging gifts on Rakhi and as always, Ranveer's expressions cannot be missed. "Didi #rakhi #throwback," Ranveer captioned the picture, adding a heart emoticon. Ranveer's picture, which was shared late in the night, has got more than 3 lakh likes. "The best pic on internet today," read one of the comments. Ranveer Singh debuted in the industry in 2010 opposite Anushka Sharma in Band Baaja Baarat. Here's the throwback picture posted by Ranveer. Ranveer Singh is currently dating actress Deepika Padukone, his co-star of Ram-Leela and Bajirao Mastani, both directed by Sanjay Leela Bhansali. Their forthcoming film, Padmavati, is again directed by Mr Bhansali and also stars Shahid Kapoor. Meanwhile, Ranveer's Gunday co-star Arjun Kapoor also shared an old picture with sister Anshula. "Raksha Bandhan the day we promise to protect our sister I thought about it a lot and honestly for me it's the other way around my sister protects me takes care of me and allows me to be the person that I am...I can never thank her enough," Arjun wrote on Instagram. Arjun and Anshula are children of filmmaker Boney Kapoor with his first wife Mona. 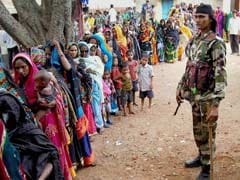 On Raksha Bandhan, actors like Hrithik Roshan, Abhishek Bachchan and other celebrities also shared pictures with their sisters to celebrate the day.